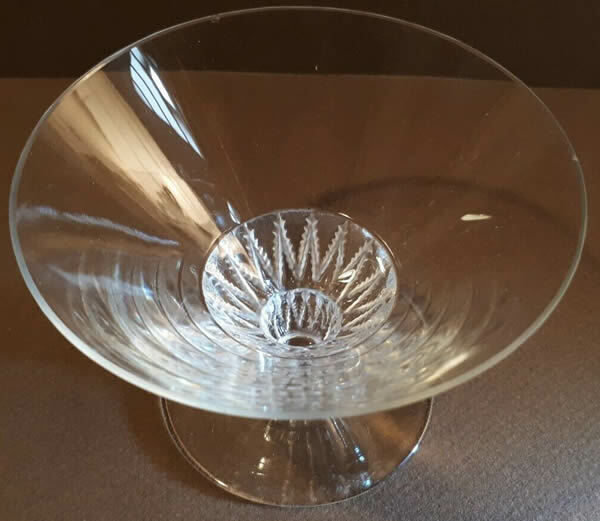 Rene Lalique Champagne Glass Champigny: 7 cm tall by 9.7 cm wide at the top rim clear glass with a frosted ferm motif on the double width hollow faux stem area R. Lalique Champagne Glass. Item: 123726922373 . 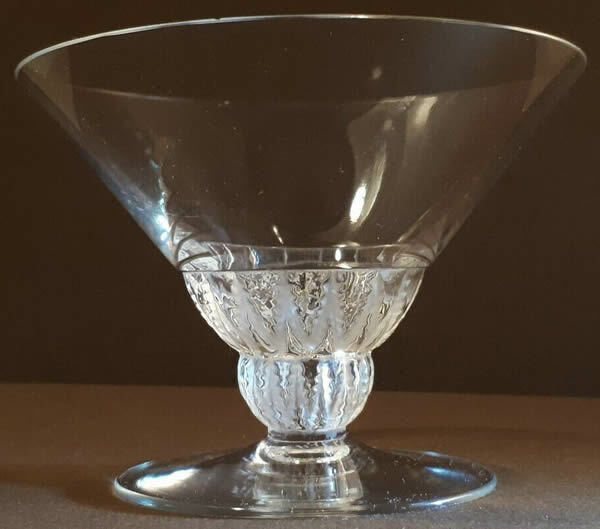 Model: 5271 Circa 1930. 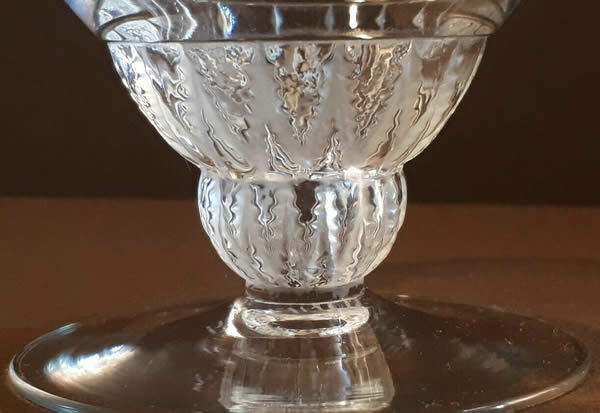 EU - Paris - France Date of Sale: 2019-04-19 Sales Results: The glass failed to get any bid at the starting price of €50 and did not sell.